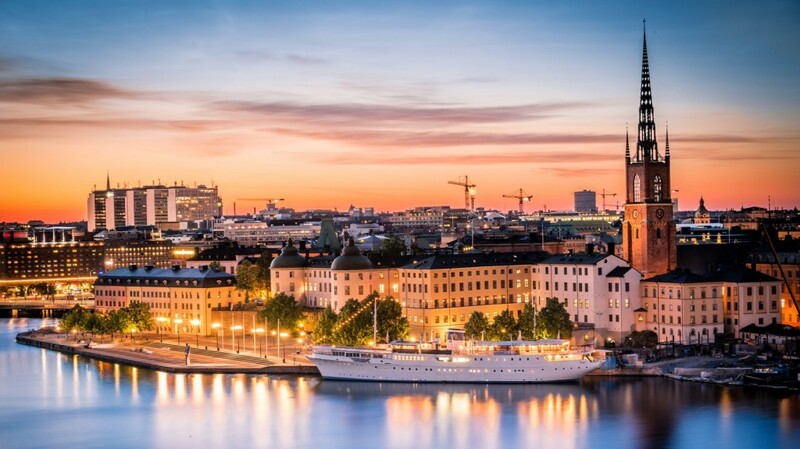 The Swedish capital and the biggest city of the country is situated on creeks connecting the lake of Malaren with the Baltic sea. 871 952 people live in Stockholm which makes about 22% of the whole population of the country. Stockholm is a famous museum center of Europe. All in all in the city there are more than 80 museums that are visited by up to 9 million people a year. In 1998 the city was chosen to be a European capital of culture. Every year in November the city hosts numerous festivals, such as the festival of modern art Sound of Stockholm, rock-festival Propaganda and many other. Located in the Swedish capital, the royal palace is the biggest palace of the world and Europe used nowadays. There are over 550 rooms. Every day at noon a spectacular ceremony of changing of the guard there takes place near the palace.